Born in Ciechanow Poland, Ania has always been drawn to the darker, mysterious, and sometimes morbid sides of life. Her earliest childhood memory is of crawling through a hole in the chain link fence that separated her family home from the large wooded cemetery next door. She’d spend hours among the headstones, breaking up bouquets of silk flowers so that everyone had their equal share. Beyond writing, Ania enjoys gourmet cooking, baking, movies, drawing, and traveling. She currently resides in Albuquerque, New Mexico with her husband and two dogs, Beau the Scottie and Galaxy the Yorkie. CLICK HERE FOR MORE BOOKS BY ANIA AHLBORN. 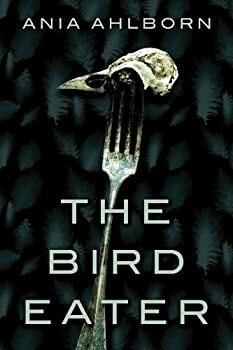 We know from the opening chapter of Ania Ahlborn’s The Bird Eater that something dangerous lives in Edie Holbrook’s house along with her and her 14-year-old nephew Aaron, for whom she is the sole caretaker. As she is working pizza dough in anticipation of a movie night with Aaron, Edie hears a triple thud in the living room. It’s only the latest in a series of oddities over the past few months: closed doors that she had left open, or the creak of stairs when no one was climbing them, for instance. But there’s no such thing as ghosts. If Edie had believed in ghosts, she wouldn’t be living in this house, which has a reputation for being haunted by the ghost of a teenage boy who had done something terrible. Because she doesn’t believe in ghosts, she pulls her hands from the dough and goes after the sound. It’s a decision for which both she and her nephew pay dearly.